We took our first trip to Cite Soleil today. If you don't know anything about Cite Soleil, it is the poorest slum in the western hemisphere, and has been for decades. In a typical Healing Haiti trip, the purpose of going to Cite Soleil is to deliver water to 3 different neighborhoods in a day. During that time, you get a glimpse of the daily life of what it must be like to live there--to have to wait for your clean water to arrive, then hope that you're fortunate enough to get water before the truck runs out. Hopefully, you will have someone to help you transport your water or the ability to carry it yourself. The children are always look forward to the visits, with people to play with, hold them, and generally just give them love. 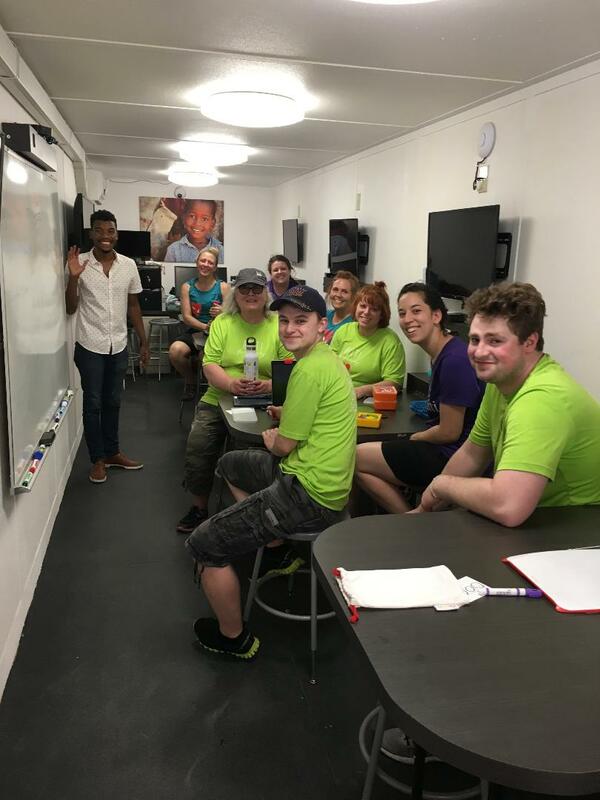 We did participate in one water truck stop, but afterward, we were fortunate enough to have the opportunity to go deeper into Cite Soleil. We visited the home 12 different elders homes, in 2 separate teams. We accompanied the pastors of Hope Church as they delivered meals to the elders in their homes. During these brief visits, we were able to do a quick assessment of the needs in their homes (doors, roofs, bedding, etc. ), as well pray over the elders. We saw doors that were tied on with rags instead of hinges, newspaper pages lining the walls to help insulate, and rooms that would flood with rain. We were able to get our 2 teams in/out of these homes rather quickly. Each elder will be assessed fully by the nurses, PT, OT, social workers Saturday in more of a "clinic" setting at Hope Church, but this allowed us to get a visual on their homes prior to these assessments. Our two pre-med graduates were able to observe the visits in Hope Clinic. 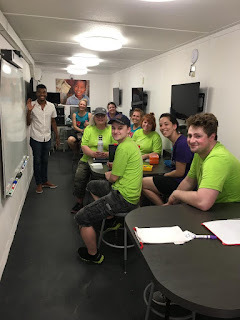 Prior to leaving Cite Soleil, we were able to get a tour and explanation of the two pods that have been added to Hope School. One of these pods is the most up-to-date technology available anywhere wouldwide including iPads and apps that are top-rated for education. This will provide the most advanced technological education available, and will allow children from Cite Soleil to compete internationally. The second pod is a sewing pod, where people are taught sewing skills to be able to secure jobs in Haiti. These two opportunities will provide job training and education to advance these Haitians out of poverty and be able to compete in any job market. Knowing the history of the ground that Hope Church is built upon makes this even more remarkable. Hope Church was built on a garbage dump, where they had to dig down 80 feet to even lay the footers for the building. The first step was the opening of the church 3 years ago. Then began the school, now the clinic and now here we are with pods focusing on job creation. And even more remarkable is that Cite Soleil has a huge stigma attached. They are judged for even just being born there. This is the reason this church, school, clinic, and these life-changing pods are planted in Cite Soleil. It is to change the legacy of Cite Soleil, one Haitian at a time. After a brief break and dinner, we spent the rest of our evening (until most were retiring to bed) in prep for Saturday's elder assessments. As a happy aside, we were able to celebrate the birthday of one of our 2 Jakes. 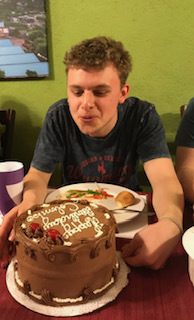 Jake Colombo was surprised with a cake, which we ALL thoroughly enjoyed! Happy Birthday, Jake!